�We all went down to the tar-pit, with mats to spread our weight.� So begins �Singing My Sister Down�, Margo Lanagan�s internationally acclaimed, award-winning short story. 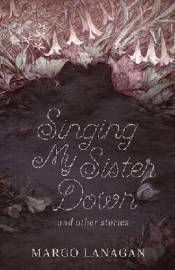 Singing My Sister Down and Other Stories brings together ten celebrated short stories, along with three new ones, from the extraordinarily talented author of Tender Morsels and Sea Hearts. A bride accepts her devastating punishment. A piece of the moon is buried. A ferryman falls into the Styx. Wee Willie Winkie brings a waking nightmare. A new father dresses a fallen warrior princess. A sniper picks off clowns one by one. Margo Lanagan�s stories will stay with you, haunting you with their quiet beauty and fine balance.